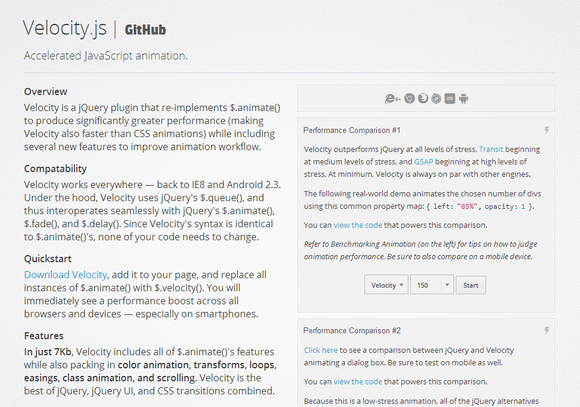 Velocity is a jQuery plugin that re-implements $.animate() to produce significantly greater performance (making Velocity also faster than CSS animations) while including several new features to improve animation workflow. Velocity outperforms jQuery at all levels of stress, Transit beginning at medium levels of stress, and GSAP beginning at high levels of stress. At minimum, Velocity is always on par with other engines. In just 7Kb, Velocity includes all of $.animate()’s features while also packing in color animation, transforms, loops, easings, class animation, and scrolling. Velocity is the best of jQuery, jQuery UI, and CSS transitions combined. 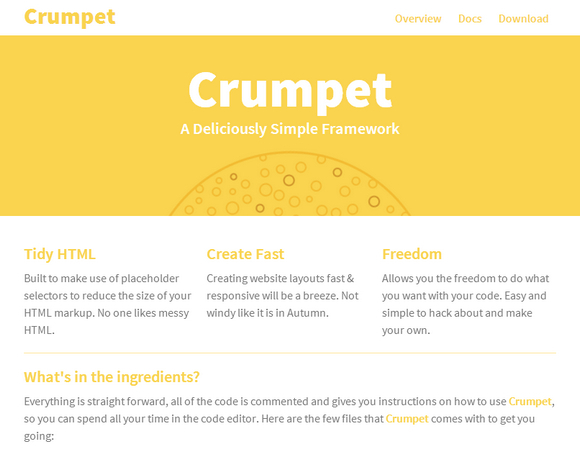 Crumpet is a deliciously simple SASS/SCSS responsive framework that keeps your HTML clean & stays out of your way. Built to make use of placeholder selectors to reduce the size of your HTML markup. No one likes messy HTML. Creating website layouts fast & responsive will be a breeze. Not windy like it is in Autumn. Allows you the freedom to do what you want with your code. Easy and simple to hack about and make your own. Everything is straight forward, all of the code is commented and gives you instructions on how to use Crumpet, so you can spend all your time in the code editor. Jeet is the most advanced, yet intuitive, grid system on the market today. You can think of it like the spiritual successor to Semantic.gs. By making use of the power of pre-processors, we can now pass real fractions (or float numbers) as context that generates a percentage based width and gutter for grids. We’re able to do this while maintaining a consistently sized infinitely nestable gutter. 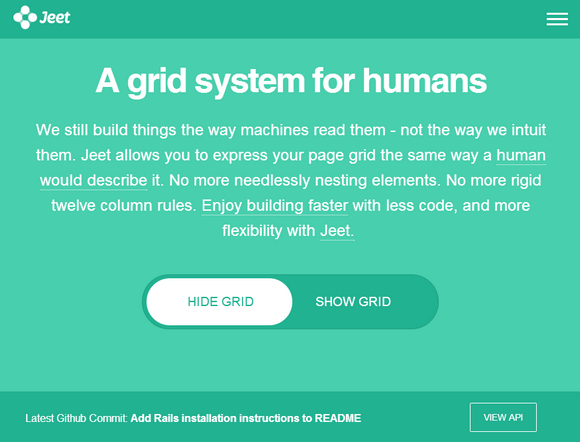 Jeet allows you to express your page grid the same way a human would describe it. No more needlessly nesting elements. No more rigid twelve column rules. Enjoy building faster with less code, and more flexibility with Jeet. Bourbon provides Sass mixins and eliminates vendor prefixes, for faster CSS coding. Neat provides a lightweight grid framework. Bitters provides basic variables and structure to a Bourbon/Neat project. 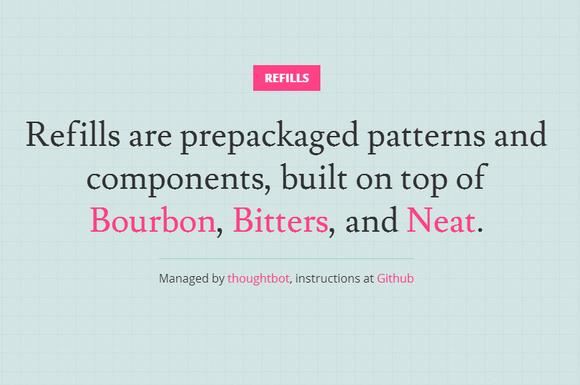 Refills are prepackaged patterns and components, built on top of Bourbon, Bitters, and Neat. 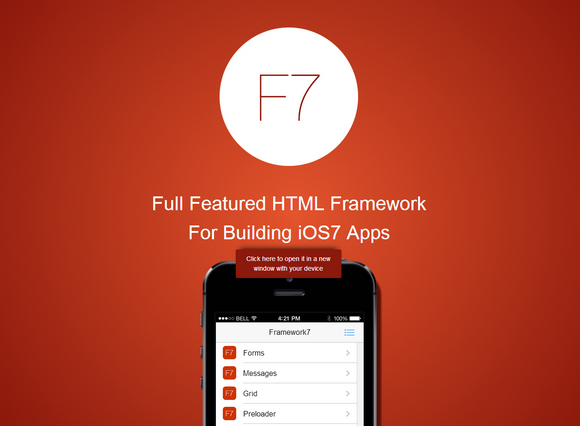 Framework7 is a full Featured HTML Framework For Building iOS7 Apps. Framework7 allows you to be flexible with list views (table views). You can make them as navigation menus, you can use there icons, inputs, and any elements inside of the list, and even make them nested. Because Framework7 uses Ajax for navigation between pages you will need a server. So to make it work you should put dist folder (or Kitchen Sink) on a server. Or, as an option, you may use Grunt’s server. Framework7 is on early development stage, so many things may be changed and sorted in a short time. CutJS is lightweight, fast and interactable 2D HTML5 rendering engine for game development, it is open-source, cross-platform and compatible with modern browsers and mobile devices. CutJS is a Canvas library inspired by DOM and jQuery with a new concept called pinning introduced instead of styling. CutJS provides a DOM-like tree data model to compose your app and internally manages rendering cycles and drawing your app, it also process and distribute mouse events to targeted tree nodes. 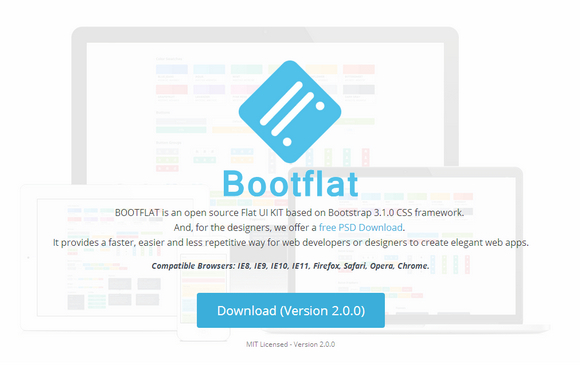 Bootflat is an open source Flat UI KIT based on Bootstrap 3.1.0 CSS framework. 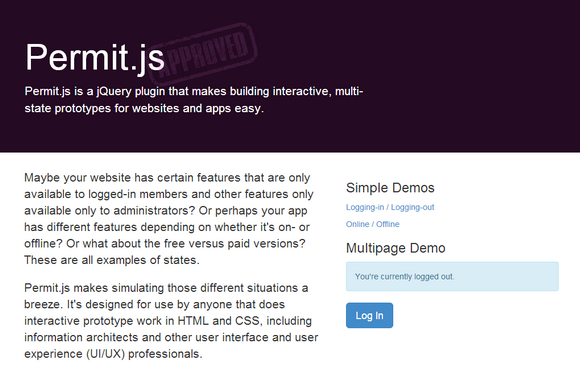 It provides a faster, easier and less repetitive way for web developers to create elegant web apps. Bootflat is built on the foundations of Bootstrap, visioned in a stunning flat design. Bootstrap itself is a trusted, reliable and proven tool for developers. 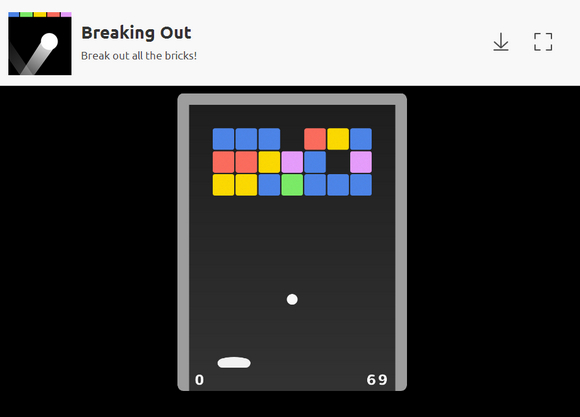 Built with Sass 3.3.3. Bootflat is compatible with the following browsers: IE8, IE9, IE10, IE11, Firefox, Safari, Opera, Chrome. For the designers, they also offer a free PSD file for you, it including a set of beautiful and pure components, which you can use to create startup projects, websites or iOS/Android Apps. 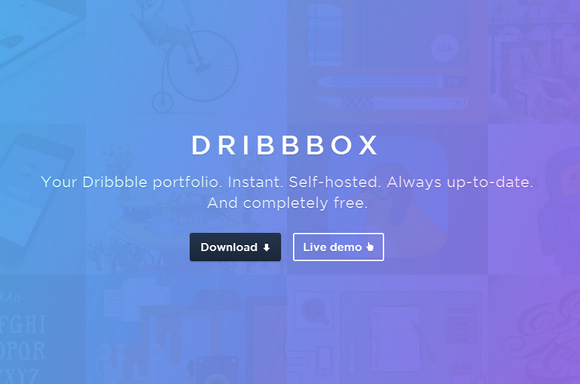 Dribbbox displays your work in a clean, easy-to-browse gallery, avoiding the noise of Dribbble’s comments, rebounds, ads and etc. It’s your portfolio, not your social network profile. You host your site, using your own domain. There is no server-side code or external dependencies involved. Pint is a small, asynchronous, dependency aware wrapper around Grunt attempting to solve some of the problems that accompany a build process at scale. A typical Gruntfile starts with, at a minimum, some variation of: jsHint, jasmine, LESS, handlebars, uglify, copy, and clean stack. Just these half dozen or so plugins can balloon your Gruntfile upwards of 300 lines and when you add complex concatenation, cache busting, and versioning can cause it to grow well in to the 1000+ lines. 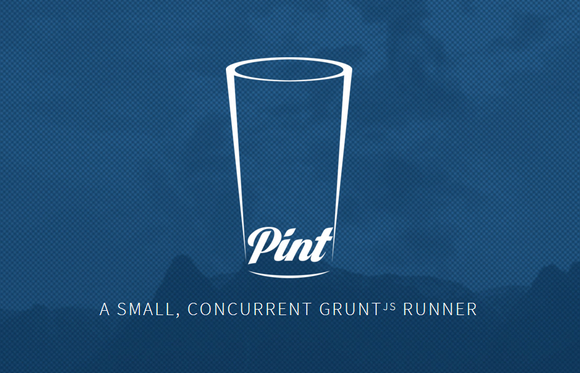 Pint allows you to break up and organize your build into small testable pieces.